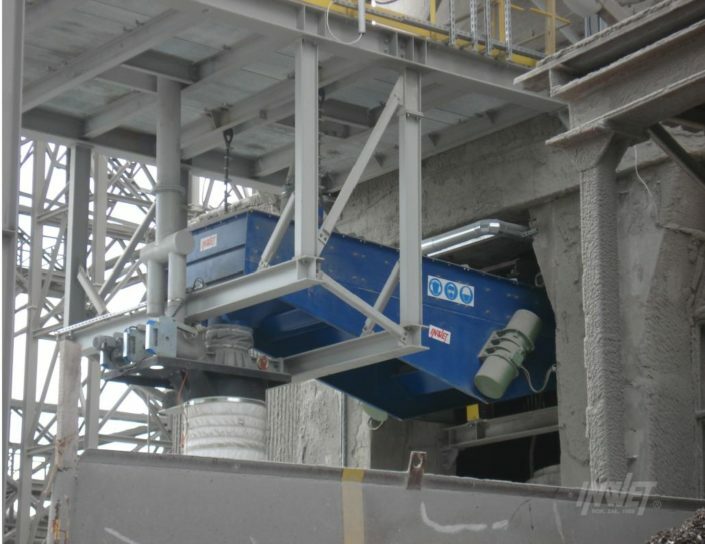 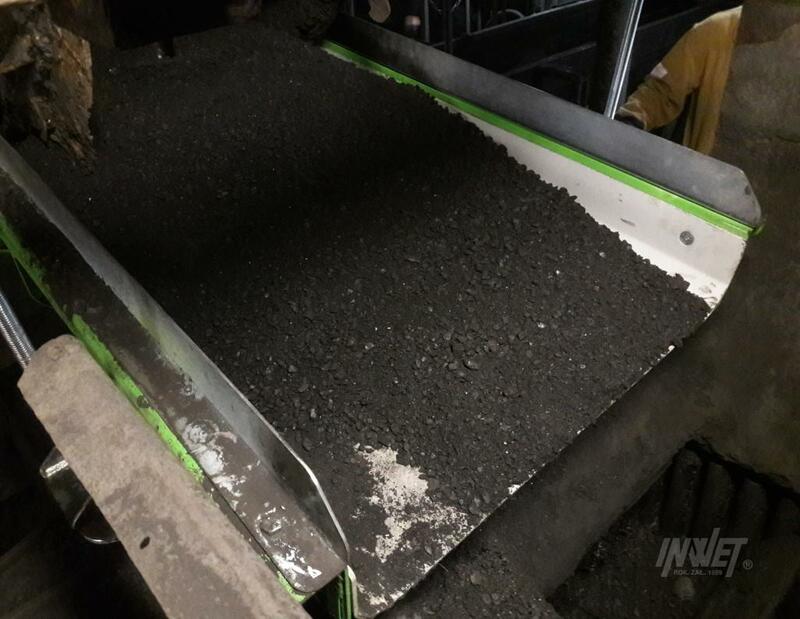 Vibrating feeders are designed to transport bulk materials. 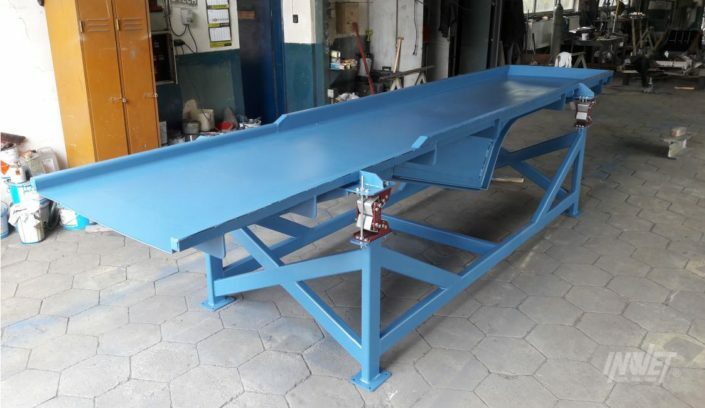 Construction is based on vibrating troughs excited by properly configurated drives. 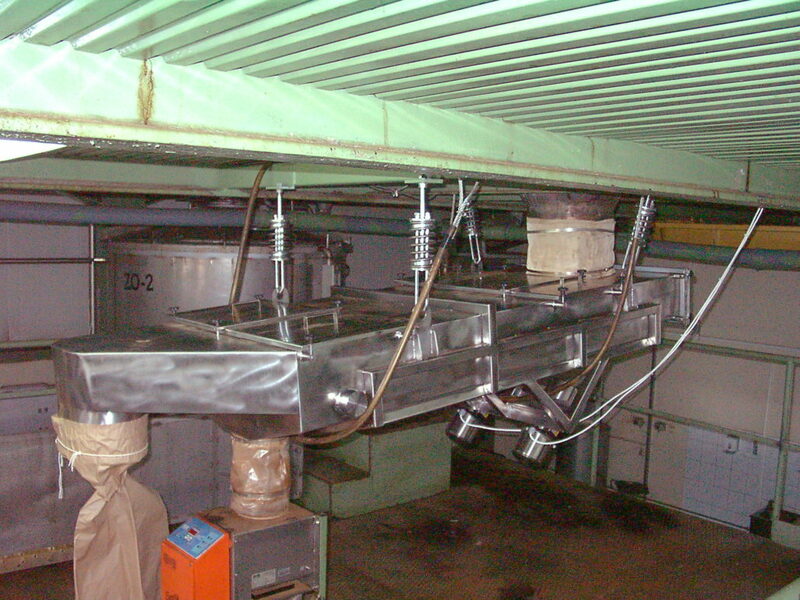 Vibrating feeders can be applied as output devices, taking material from silos or other containers. 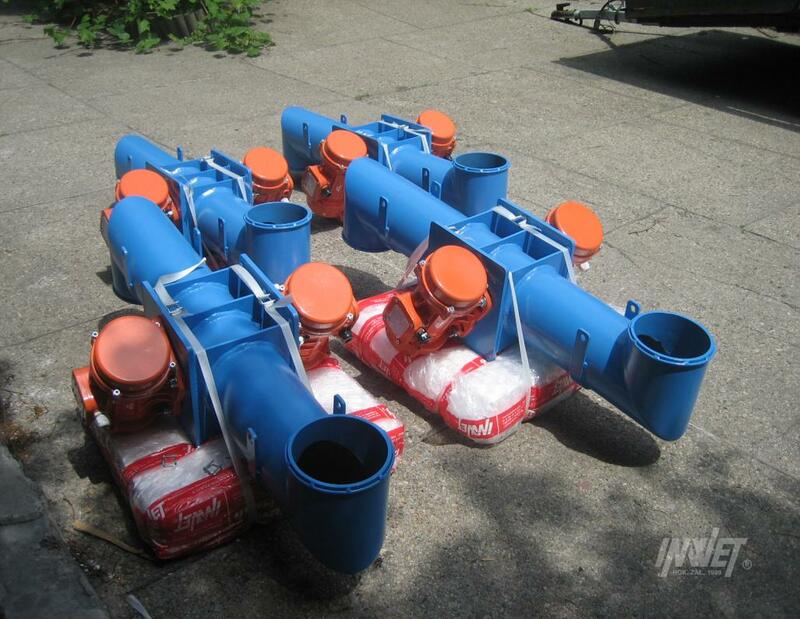 Their speed may be adjusted to desired efficiency. 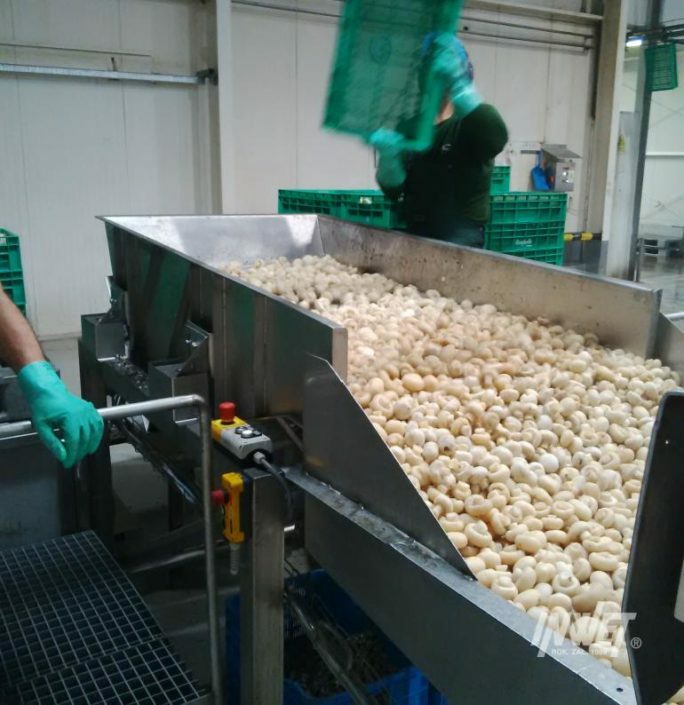 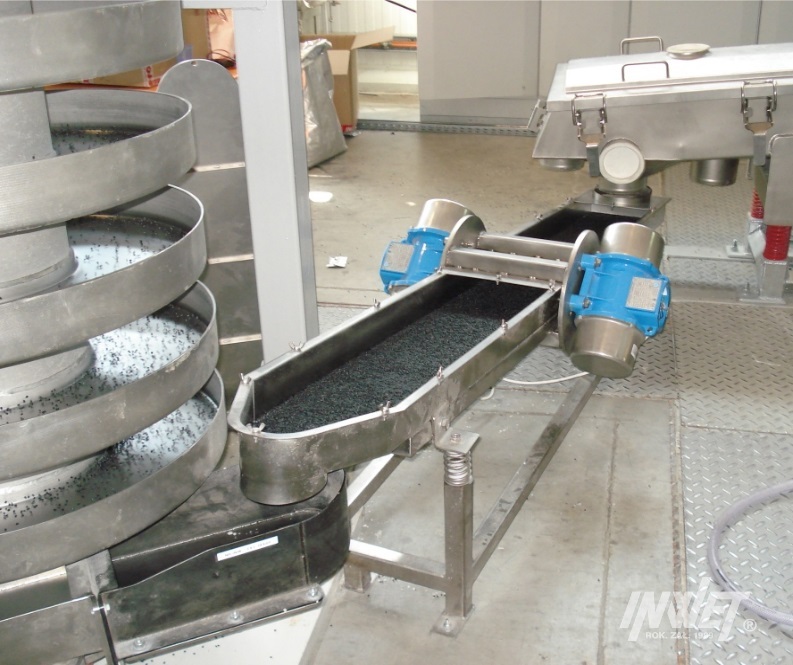 Other possible applications are: forming even layers of the product, transport combined cooling or drying process, etc. 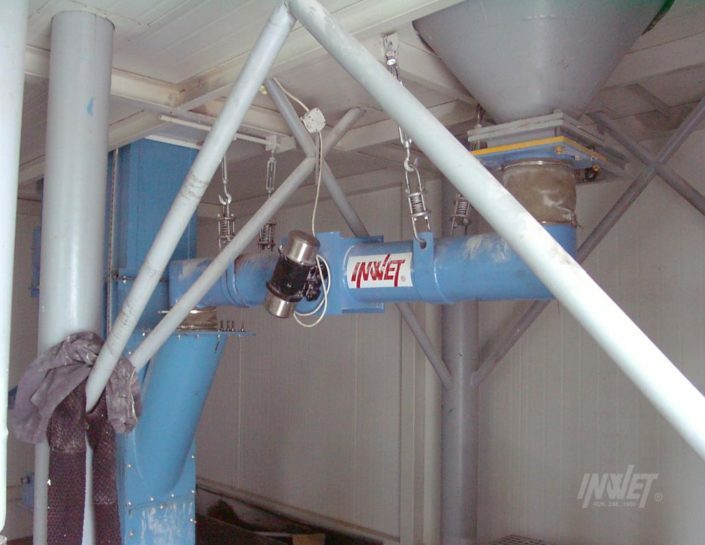 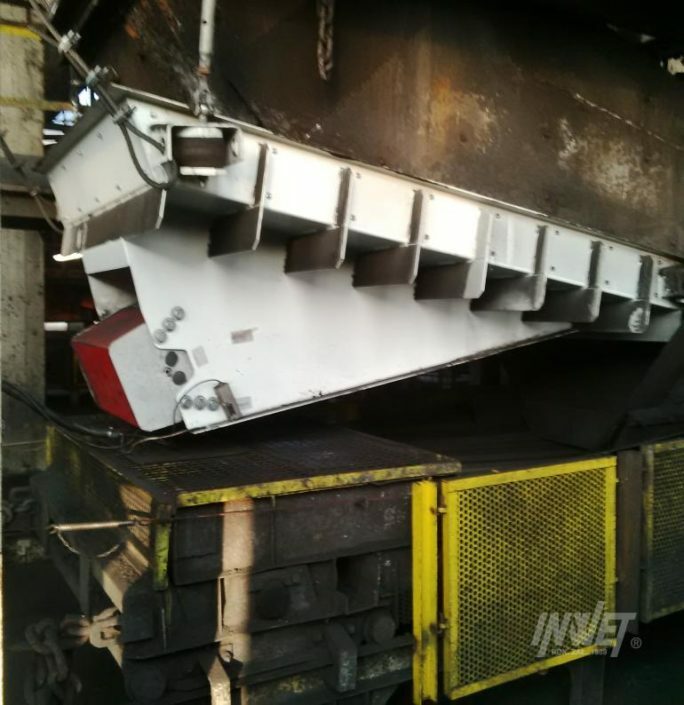 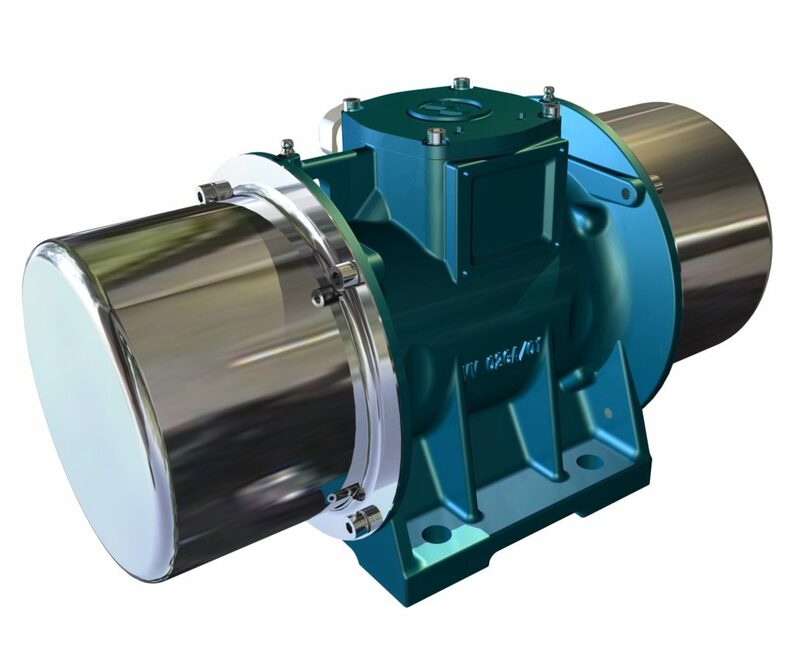 INWET inc. offers many types of vibrating feeders designed and customized accordingly to customer’s needs. 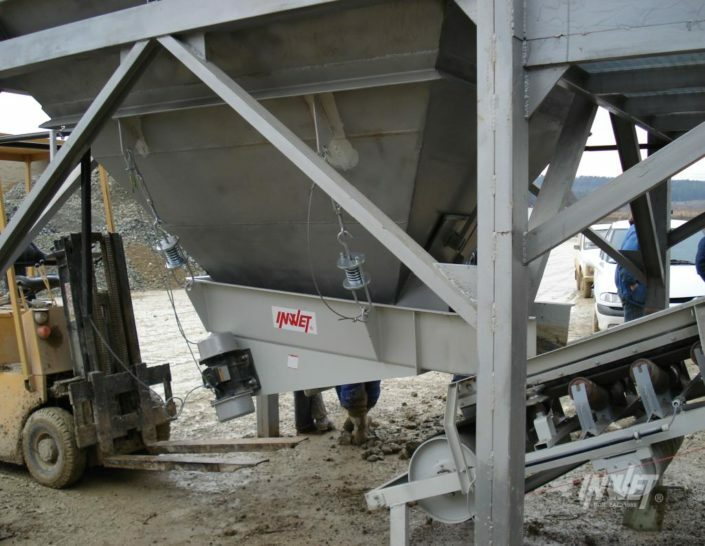 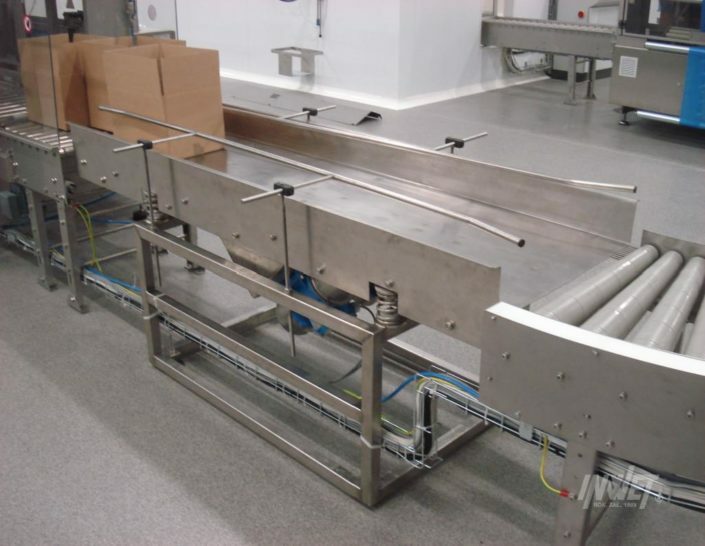 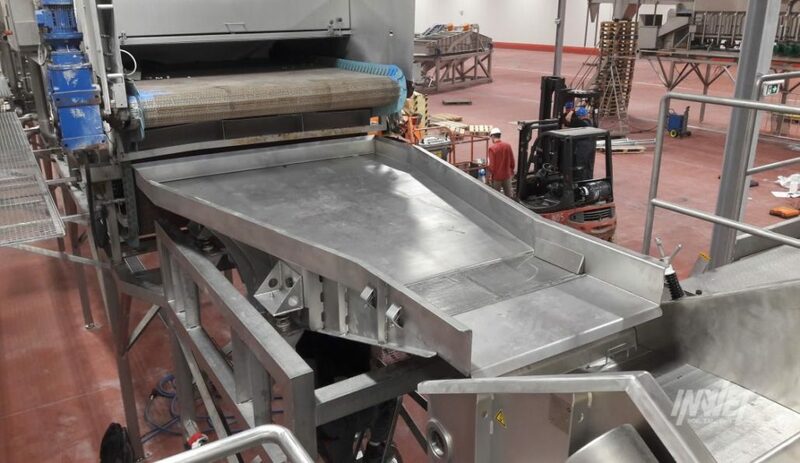 Every feeder may have support construction designed to fit existing technological line. 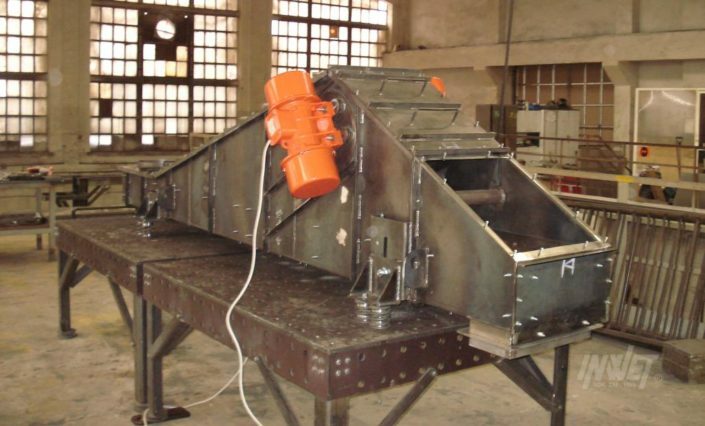 Feeders are driven by inertial electric vibrators with speed regulation. 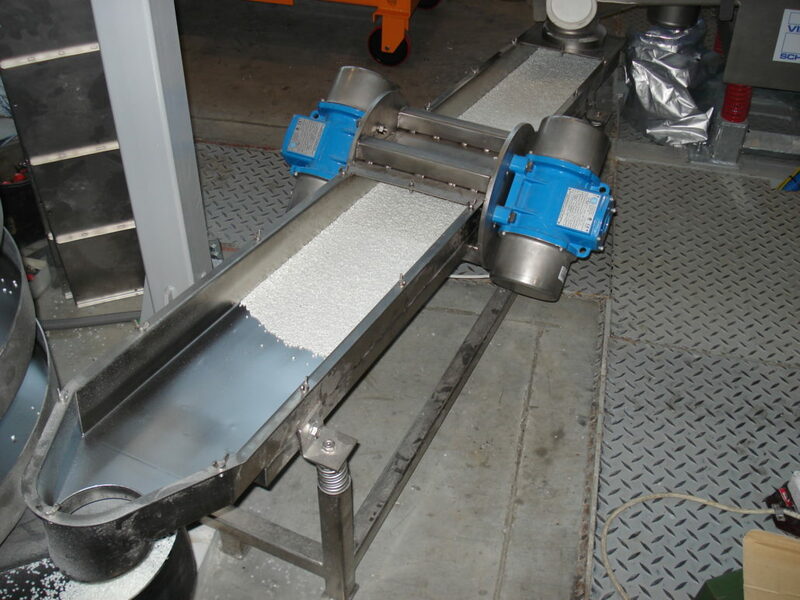 All elements of such devices, having contact with the product, are easy to clean. 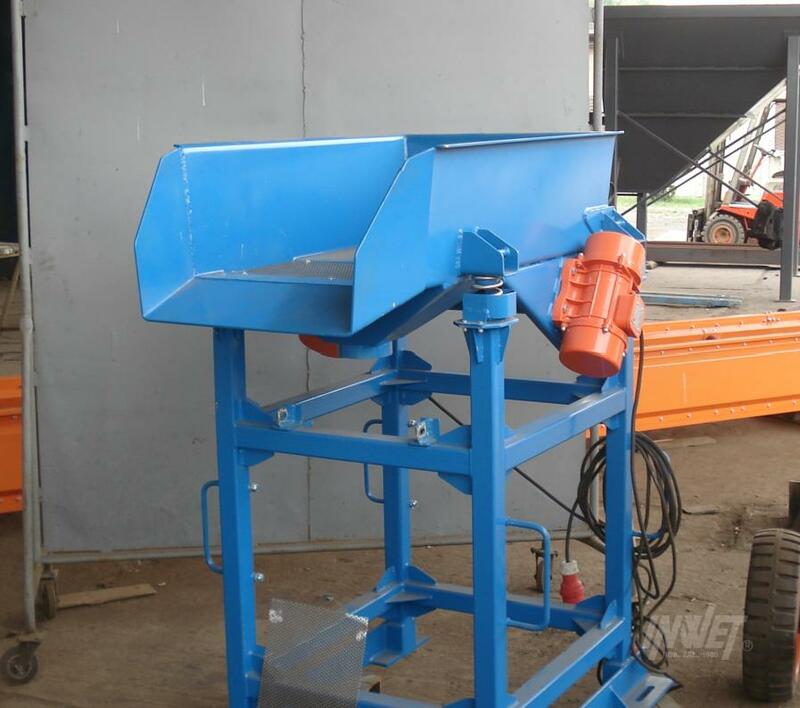 Vibrating feeders are also durable and long lasting. 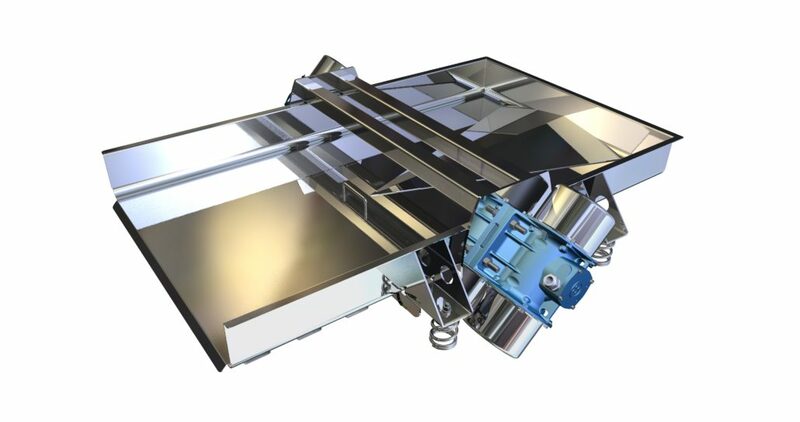 When needed, feeders are equipped with chute tanks. 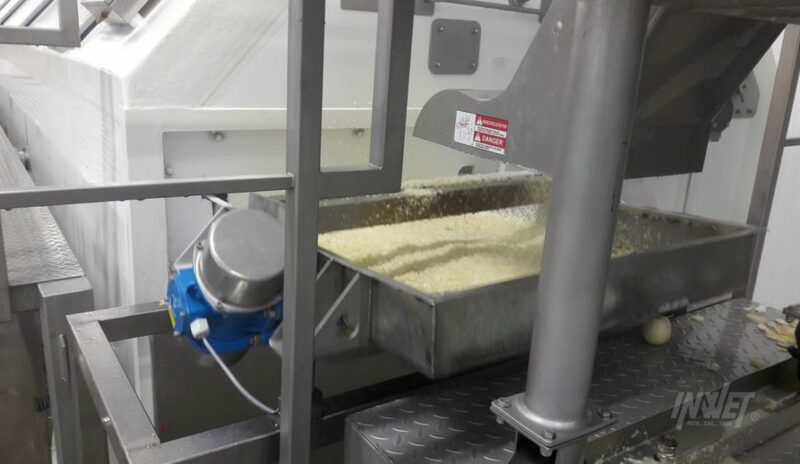 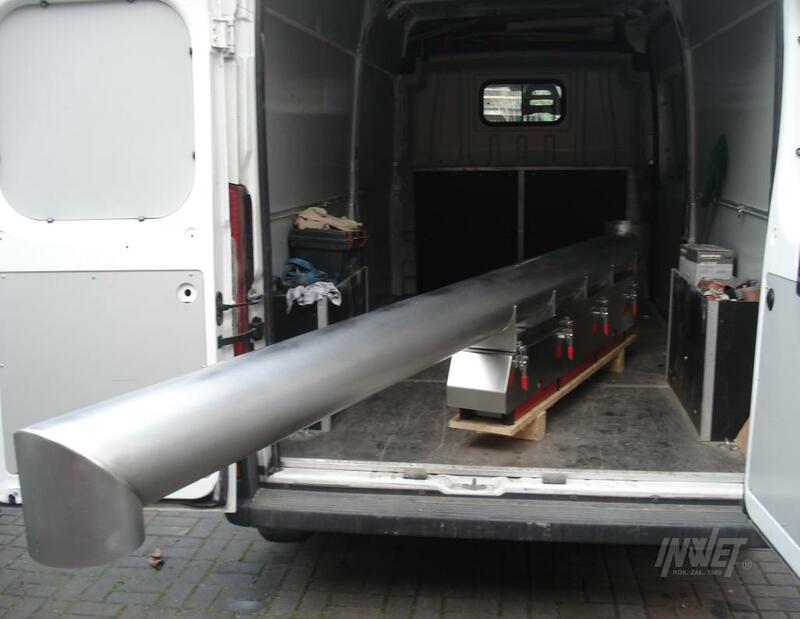 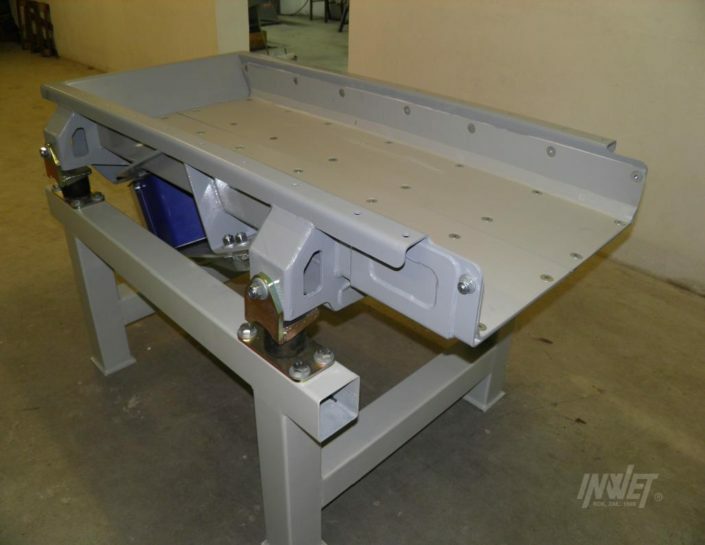 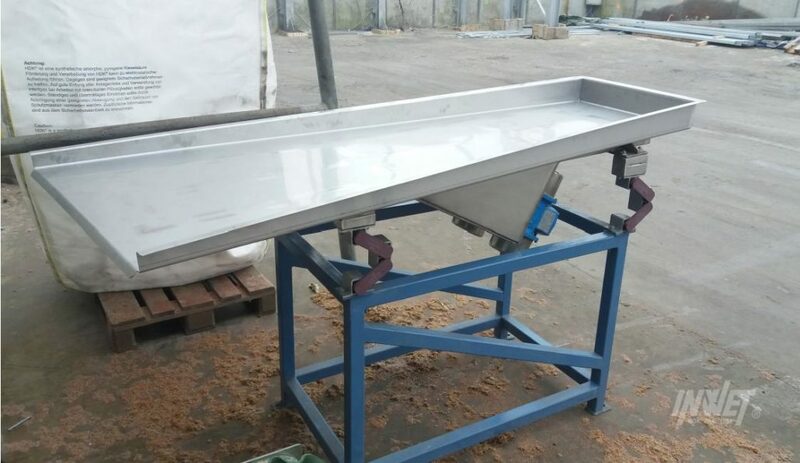 Vibrating trough feeders are the most popular and convenient kind of feeders used in technological transportation. 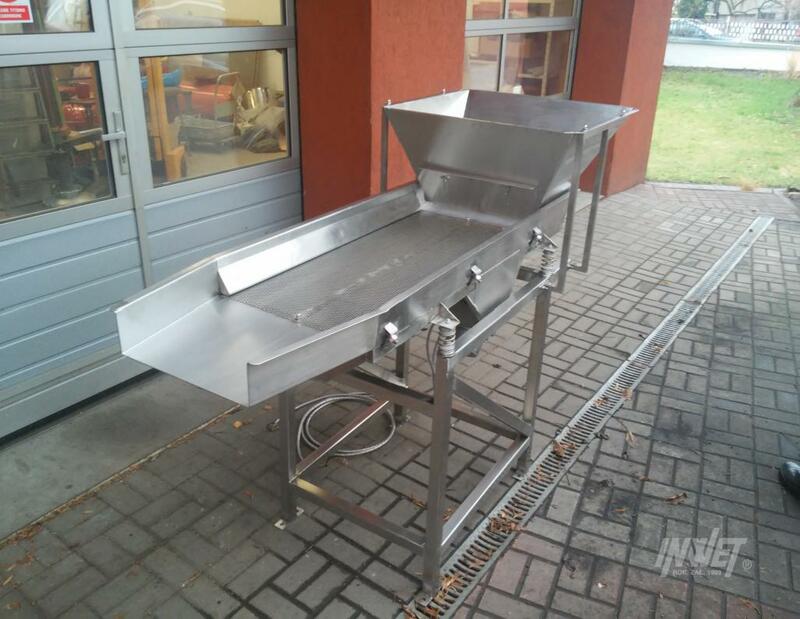 Accordingly to customer demands, we design troughs of rectangular or trapezoid cross-section shape and with optional lid cover. 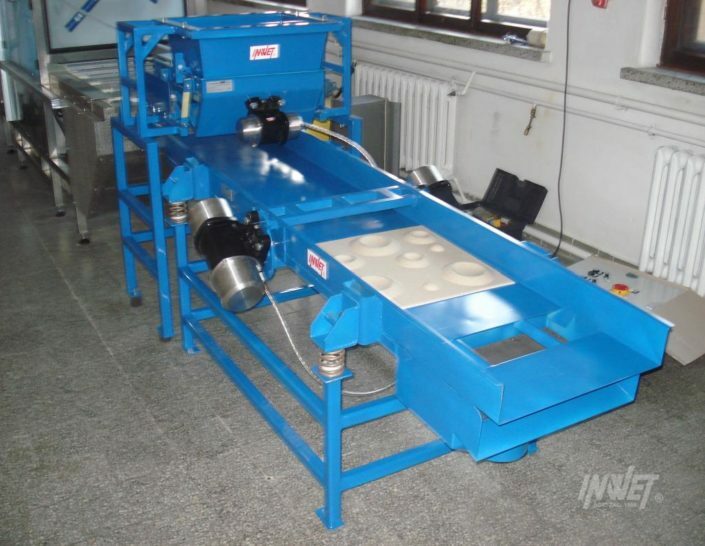 This equipment is the most suitable for continuous work with a steady efficiency. 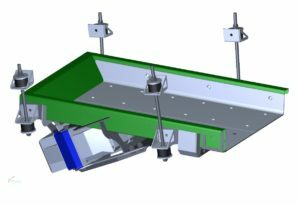 Box below shows the basic technical data. 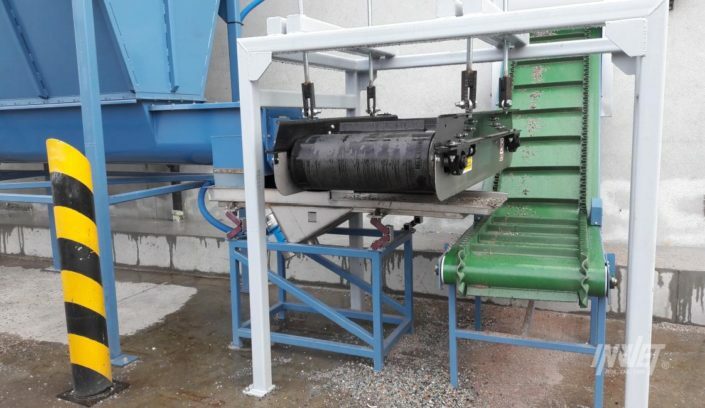 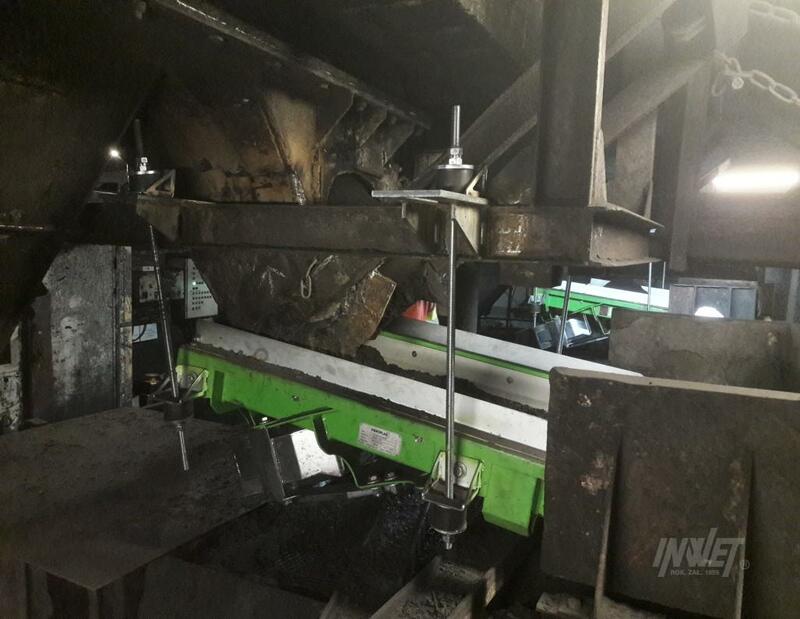 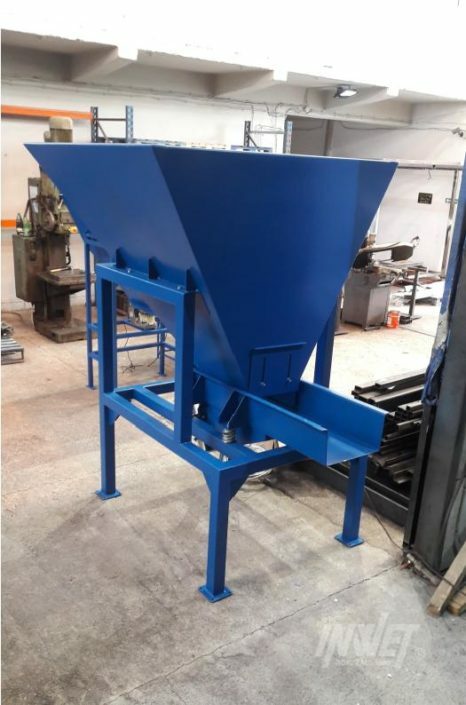 Vibrating feeding screens are used for transport of bulk materials with simultaneous fractioning. 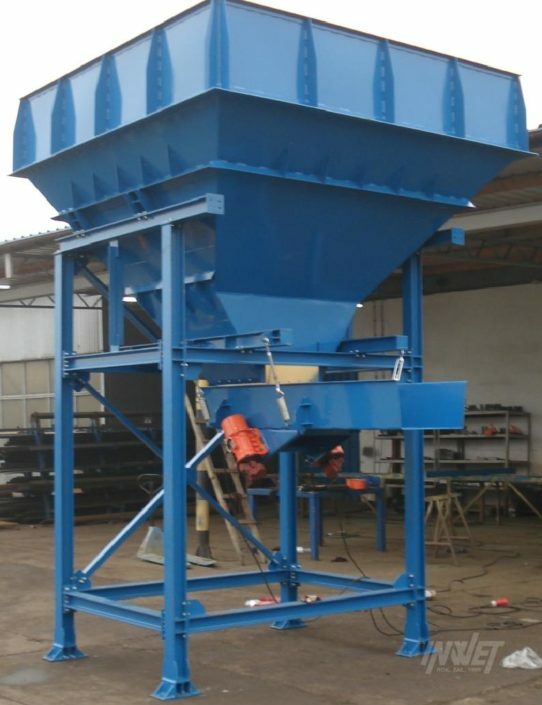 Usually equipped with changable perforated steel screen or slot screen (dewatering). 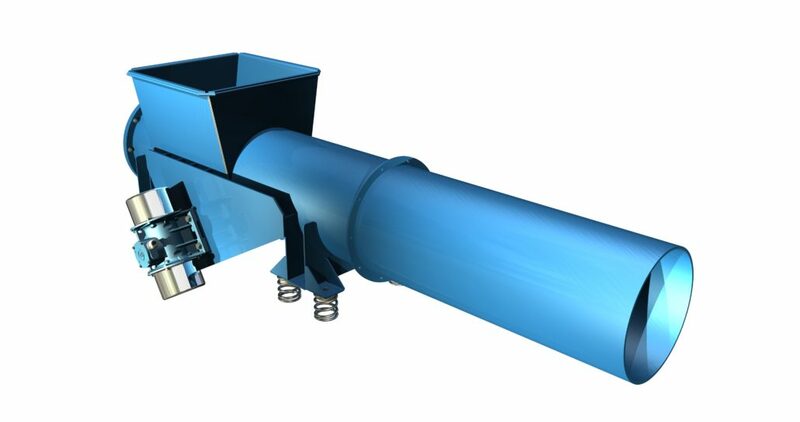 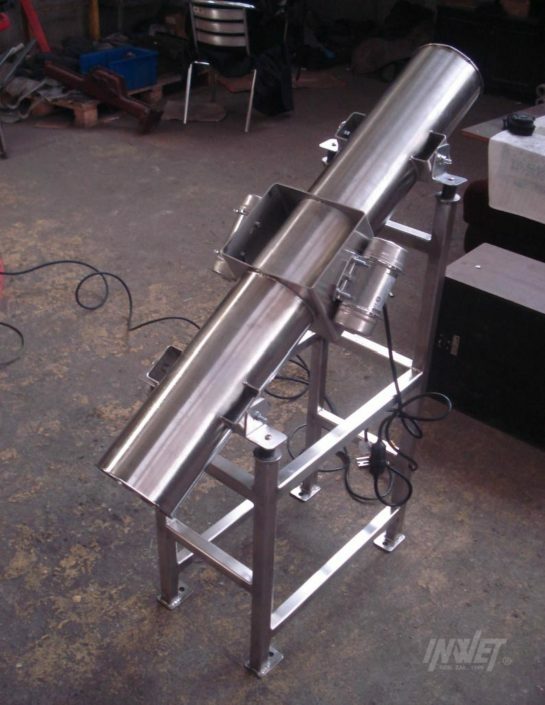 Vibrating tubular feeders are designated to transport dusty bulk materials. 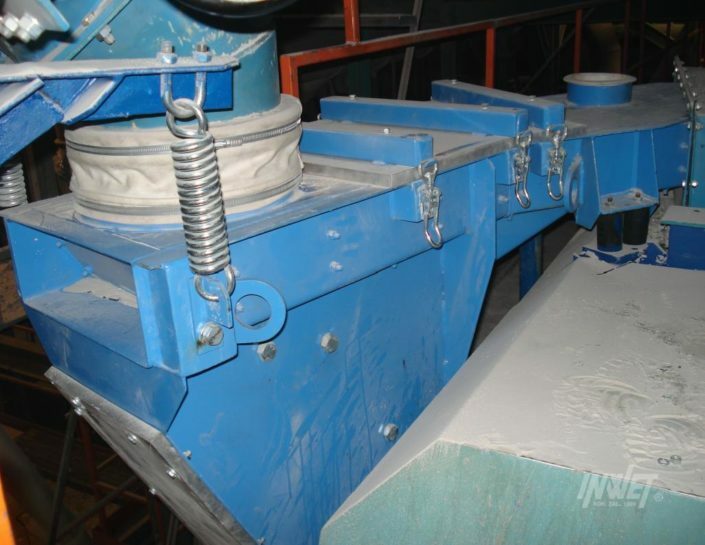 Diameter depends on expected efficiency, construction material depends on processed product. 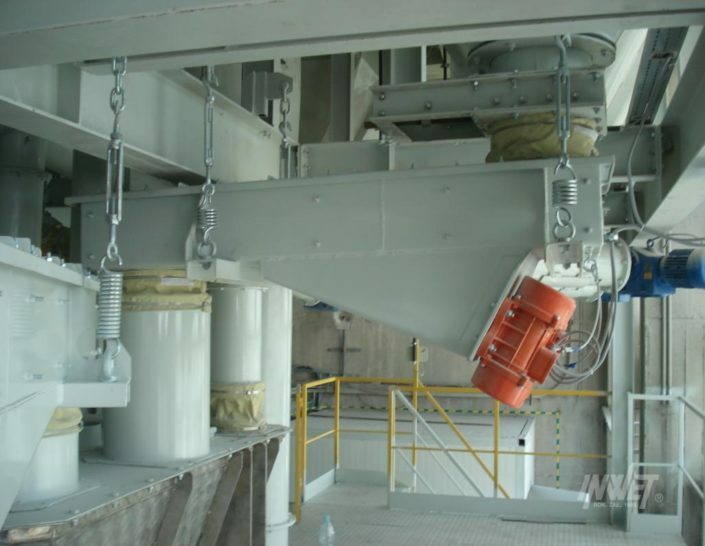 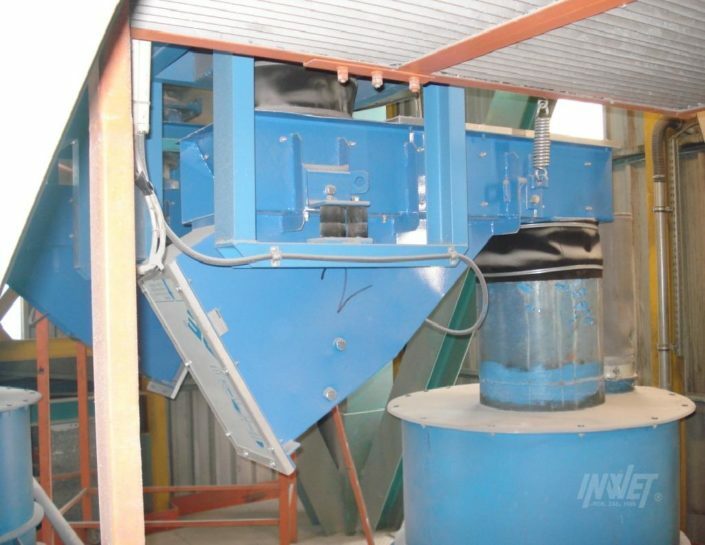 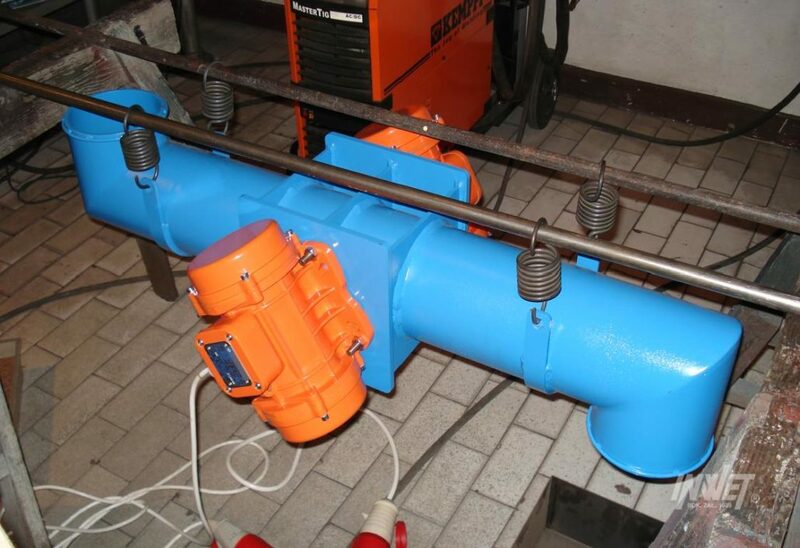 Vibrating feeders with electromagnetic drive are designated to perform permanent or gradual flow of bulk materials. 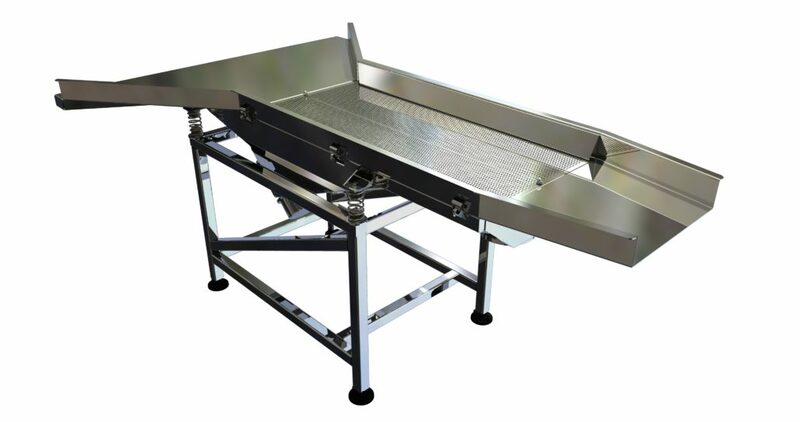 Perfect for cooperation with scales.